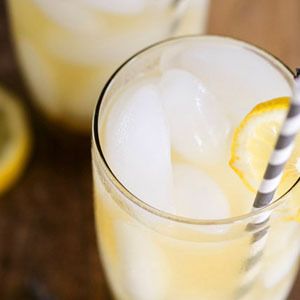 Combine fresh lemon juice, sugar, and water in a large pitcher to mix. Add the Sicilian Lemon Balsamic Vinegar to taste. Stir in vodka, if using, and serve chilled or over ice. Recipe courtesy of The Olive Tap, Delray Beach, Florida.